Mount is using Smore newsletters to spread the word online. Does the thought of budgeting stress you out? Budgeting done right is empowering, not restrictive. Explore the pros and cons of several tried-and-true budgeting techniques – from the envelope system to Quicken to free online programs like Mint.com. Participants will receive a link to download an Excel budgeting file that was created with the frum lifestyle in mind. Come away knowing which budgeting system works best for you! Tamar Snyder is a Certified Educator in Personal Finance (CEPF). 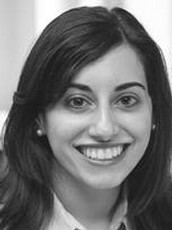 An award-winning journalist, Tamar worked for several years as a staff writer at The Jewish Week in New York. She holds a master's degree in journalism from Columbia Journalism School, a Masters in Public Administration (MPA) from NYU/Wagner, and an MA in Hebrew and Judaic Studies from NYU. She created a financial literacy curriculum for Jewish teen girls and presented the program to nearly 500 teens as part of Jewish Women International’s Life$avings project, and currently teaches Personal Finance & Philanthropy at Manhattan High School.